I have a confession to make. My name is not really “Guadalupana.” However, Our Lady of Guadalupe played a role in my name in religious life and I am going to pray that she guides me in this blog post; to share what is on my heart! Near the end of postulancy, I had a “home visit”. During this visit, my beautiful maternal grandmother whom I was very close to gave me a book about Our Lady of Guadalupe titled “Am I Not Here?” This encounter and book are special to me. It was the last time I saw my grandmother alive; she ended up passing away during my first year of novitiate. As my grandmother pointed me to Mary, Mary would want to point us to Jesus. Am I not here? This is true for Our Mother but also for her Son, Jesus. He is here with us and wants us to more deeply know of His love and for us to receive it. God is Love. We hear this phrase often. I’ve said it often. Yet, here is confession: A part of me struggled with this even though I’ve had many graces that should lead me to do otherwise. I won’t go into the details why, but off & on during the past few months when hearing Gospel passages where it sounded as if Jesus was “yelling” at the Pharisees, fear & worry would surface and a question which was semi-hiding in my heart would come out. How would Jesus treat me? Would He have treated me, for instance, in the same manner as a sister who at times had lost her temper at me over little things? Were they little things? Is God displeased at me? Does He look at me like His beloved daughter and treat me gently or does He look at every mistake I make waiting to “pounce”?! This uncertainty that was in my heart would cause me to lose my peace when “bad things happen” or when someone would speak harshly or when hearing certain Gospel passages. Uncertainty can lead to a cycle of questioning God’s love, being hard on self, & being unforgiving towards others when it arises. A few weeks ago, I had a meeting with a priest for spiritual direction that had a really good impact on me as well as a meditation and talk on the topic of “Forgiveness of Self.” This brought greater clarity, peace, and healing to my soul. This post would be too long to share everything (and it is probably too long now! ), but here are five main points from this night that may be of help to anyone else who has been in a similar situation (religious life or not) or who has had similar questions lingering in their hearts. I tried, I desire to love & serve the Lord, and I need to enjoy His Company. The priest told me how he had suffered through novitiate. Novitiate is a drastic shift. We are not sure what to do. He reassured me that I had given it a sincere try. He said that I love God a lot (I do?!) & God appreciates it (yay!). He told me that in my desire to love & serve God, be careful not to get over analytical. Drop it when I start to worry & analyze. Worrying is a cross that is self-afflicted. Enjoy God’s company. I’m not a Pharisee. I need to distinguish shortcomings from hypocrisy; which entails not trying & only being interested in the facade. Let God love me. I cannot earn God ‘s love but I don’t have to; He just loves me. I am not closing the door on God & He will make something beautiful out of all of this. The priest assured me that by closing the door to religious life, I am not closing it on God. Rather, God has closed the door on religious life for me. (In the past, being told that would have bothered me…I would have felt rejected by God. However, now it brought me comfort. God has not rejected me. God knows what’s best for me. As I typed this, I recalled something a religious sister shared with me after I had told her that I was not called to make first vows. This sister told me that while she was before the Blessed Sacrament & telling the Lord that she didn’t understand why I wasn’t called to vows, she heard the Lord say: “I know better. I will take care of her.”) The priest also told me that I had a rough journey and it’s a mystery why God allowed it, but He would only allow it if He can draw something good & beautiful from it and it was not a punishment. Confide in God’s mercy & grace. He is a loving God. Have a healthy social life & be open to God’s will, which may be to marriage. Have the freedom to enjoy self without worry. Also, we love Jesus by doing His will, such as getting married. If it’s not His will, He’ll let me know. God willed me to exist and He is involved with the dating process because He is involved in my life. In Luke 5:1 (the calling of St. Peter), St. Peter told Jesus to depart from him because he’s a sinful man. (Peter was hard on himself. Jesus instead told Peter to not be afraid and that he’ll be catching men. Jesus held Peter still. Peter could have given into great shame. Shame: “should have mastered everything”. We tell ourselves that we should have been better by now, etc. Rather, I belong to the “deserving of tenderness club” (DTC)! I deserve to be affirmed and to affirm self. Self-inflicting torture can take up room where the Lord wants to dwell. Don’t go to bed without forgiving yourself. Wrap yourself in your Father’s arms and let the Lord affirm you. Let Him show you how He sees you. Accept God’s mercy and love. One way to accept God’s mercy is to accept Him looking at you. Look at Jesus crucified & take the time to let Him look at you, to accept the gift of Himself on the cross. He loves you by giving Himself to you. It’s done. You’ve been forgiven. We can use a crisis to reaffirm our identity: I’m a beloved daughter of God; You gave Your life for me. It’s an opportunity to go deeper through the struggle. There may be lies such as “I’m not worthy to be loved” or “there are so many things I didn’t do well.” Reality: You are a beloved daughter of God and He loves you. 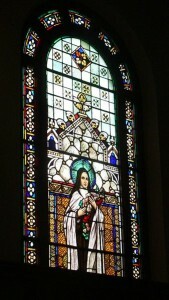 St. Therese of Lisieux offered herself to the love of God, not to His justice. God has a lot of love to give but not enough to receive it. St. Therese’s Little Way, confidence in God, acceptance of His love, being His child. She accepted to be loved. Receive His love. Thank you for writing this beautiful article. It’s so refreshing to realise that I’m not the only one who feels this way, especially regarding what you wrote about your reaction when reading about the Pharisees. I’ve asked myself that very question countless times – how would Jesus treat me? So often I’ve struggled with the fear that I’m not right with God and questioned myself, my actions, and my motives: Am I a hypocrite? Was I pursuing religious life just to look or feel good and holy? Should I have done things differently or stuck it out longer? Was I being ridiculous to think that someone like me could possibly be cut out for religious life? Did I deserve the less-than-pleasant things said to me by a member of the community I was discerning with? Is God upset with me? Have I ruined or abandoned my vocation? Am I always going to feel like God is so distant? Will I ever experience consolations in prayer again? As time has passed there have been many moments of grace and clarity and I’ve been less plagued by these questions and have become more at peace with my experience, but every now and then they rise to the surface once more. Thank you for sharing your experiences and words of encouragement. As much as I wouldn’t wish these uncertainties on anyone it is good to know that I’m not alone, and to be reminded that it’s all part of the process of working through things and moving forward. Thank you, Natalie, for your comment. I just re-read my own blog post a few days ago to reassure myself after another mini-battle! ? A different priest once told me while in Confession when I asked him about the pharisee thing that he couldn’t see /he doubted that God would get angry with me and doubted I’ve been a pharisee but if I do act like a pharisee, maybe God would just say something like “stop it”. The priest also said that with the pharisees, God may have been looking at them with great love as He spoke to them. It would not be with the tone that our emotional reaction/how we may think of it (ex. based on what we think of when people are angry). The priest said to not let the devil rob me of the graces and how God is working on me. We can project onto God how others have spoken, behaved towards us and wonder if this is how He would treat us too. It is lies of “the enemy” to get us to worry & fear & to try to get us to distance our hearts from God. In can be more difficult when it entails wounds from religious, especially if from individuals involved in our formation, since it may feel as if things are coming from God. We need to remember that they are human beings too and so the things they do, words they use, way they may say things can be VERY different than how the Lord would respond in a similar situation. Let’s pray for each other and for all who have been in religious life and all who are in it. May we all become more & more convicted in the Father’s love for us. We are His beautiful children and may we one day all go Home to be with Him forever. 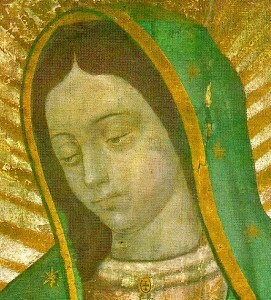 Wow, Guadalupana! That reflection brought tears to my eyes. Thank you!!! I found myself thinking ‘yes, yes’ to every point you made. I thought I was the only who got a little freaked out by Jesus’ words to the Pharisees 🙂 Just like with you, it was a priest’s comments in a book which helped me to see this Gospel passages differently: he explained that Jesus’ ‘sternness’ in this passages was not an expression of anger but rather an adaptation of His message to those who would not have understood if the message were expressed in any other way. Yet, as you say so truly, if we sensitive ones look back on the times that Jesus has spoken to us in our lives, it is clear that He only speaks with tenderness and love, even when He needs to gently admonish us. Something my spiritual director said to me recently resonated with me: she explained that, at least for those of us who tend to be very self-critical and negative, we can find the truth by ‘turning around’ the Enemy’s temptations. For example, if I have a constant temptation to think “I’m hopeless at such and such a virtue”, the reality might be the complete opposite – that this virtue is in fact one of my strengths. Or if I think ‘God is not pleased with me’, the truth is that He is not only pleased but delights in me as a beloved daughter! I have found this ‘turning around’ process very helpful!